Red Seal Training | Weldtech Training Inc.
Welding Courses – Red Seal Training As of July16, 2003 Weldtech Training Inc. became the first training institution to offer welders in Ontario an opportunity to take a one of a kind course that would prepare them for the Interprovincial Red Seal Welders Certificate of Qualification Examination. Under a grandfathering system welders working at the trade for a minimum of 3 years and who can demonstrate that they meet all other requirements can write the Red Seal exam and become a licensed welder. Weldtech’s Training Centre has been given Training Delivery Status as part of the new Ontario Welder Apprenticeship Program. 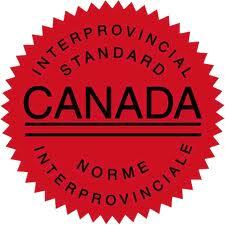 Please click here for more information on our Interprovincial Red Seal Preparatory Course.